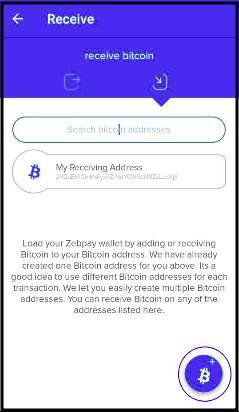 Please note: It is advisable to create a new address for receiving cryptocurrency each time to enhance the privacy of your transaction history. 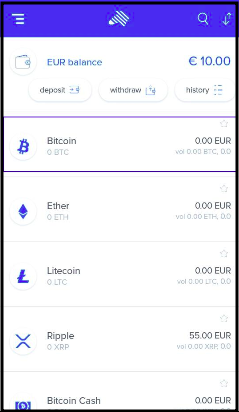 Select the coin and tap on Receive from home screen. 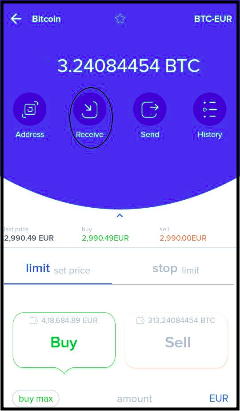 From bottom right, tap on the '+' button to create a new receiving address. Enter a name to label the address. You can scan the QR code or copy it or share the address via email or instant messaging.